What’s the difference between micro and macro influencers? And what’s the best option for your brand? We’ll cover the pros and cons to help you decide. Credibility and trust are at the heart of what makes a business successful. While every interaction a customer has with a brand shapes their trust or lack thereof, brands do have an opportunity to win the trust of their customers from the outset. In comes influencer marketing. At the core of influencer marketing are the influencers themselves. Since influencers have follower bases that they have built over a period of time, these audiences trust them and will take their word when they recommend brands/products/services. It is this level of trust that businesses and brands ride on to reach audiences that they cannot reach via their marketing, advertising, PR, and other efforts. In this article, we look at two major influencer categories, micro, and macro, and explore which type would be a better fit for your campaign. How do you identify the right influencer, in this case, “type” of influencer for your brand? Let’s find out. Micro influencers are normal, everyday people who have a passion or interest in a particular topic or niche. They tend to share their opinions, views, likes, and personal recommendations about products or services in the niche and have built a larger, but not too large follower base (2000 to 50,000) of people who are also interested in the same product or niche. Interestingly, micro influencers apply to become “real influencers” via sites like Tribe and Takumi (both of which have a focus on Instagram). One of the great things about micro influencers on such platforms is that their photography is top-notch. In order to hire these micro influencers, brands submit briefs via the influencer platforms and influencers who think that they can meet the expectations in the briefs apply and can then deliver creative posts. Let’s now look at the advantages of using micro influencers. We have already mentioned that micro influencers have a loyal follower base of people who trust them. They see them as credible, as they are everyday people who share their experiences and opinions about brands/products/services. Sometimes, they could be seen as experts, due to the fact that they have used a product/brand for a long time. There are micro influencers who share content about a hobby that they have built and developed over the years. An example here would be someone whose hobby is fishing. They have used different types of fishing gear from different companies, and have precise advice based on their experience. Such influencers will be knowledgeable and quite credible in that field. Micro-influencers have highly-targeted audiences. If you are a brand looking to reach a specific target audience, you are better placed to work with micro-influencers. You, however, need to be very specific when it comes to choosing micro-influencers, as you have to prioritize the audience first. If they do not have the audience that you are trying to reach, you are better off not working with them. 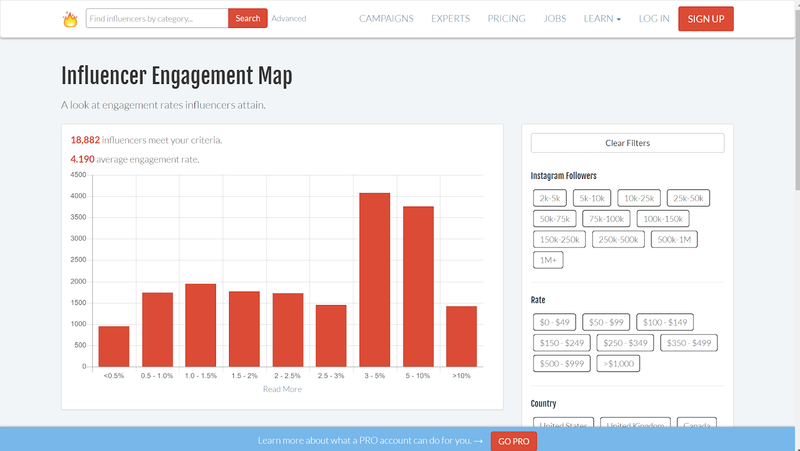 Here’s another chart from Influence.co gives a clearer picture of micro-influencers engagement rate. If you are using influencers to increase subscribers in your referral program, then micro influencers are able to help you build your subscriber base. When they share their experiences and the benefits of the program, people are highly likely to subscribe. On the other hand, customers are highly likely to begin the sales funnel process. Micro influencers result in “warm leads”. This is because recommendations come from trusted sources. We recently did a survey from multiple experts and their opinion on successful influencer marketing. If you look at the chart below, it shows that 9% of our experts said they use micro influencers, while 68% said influencers well known in my niche. This is not saying that micro influencers aren’t important, but they do correlate with each other. These micro influencers are more niche specific compared to macro influencers where they have to engage a broader audience. Some of these micro influencers might be well known in the industry, hence the micro. Micro influencers are then, not micro because of the following, but because of the niche, they are in. When compared to macro-influencers, micro-influencers are more affordable, though you might find some micro-influencers who may charge higher than the industry standard, as shown by this Influence.co report. Since micro-influencers are affordable, you can even work with several at the same time, for the cost of one macro influencer. Better still, they are flexible and the negotiation process takes a shorter time. A great thing about working with micro-influencers is that they can create great content. Like we had mentioned, most of them tend to have top-notch photography, something that brands could easily benefit from. They can also create other content types while maintaining brand quality. While there are brands that do have marketing and PR departments that can create content, micro-influencers can always add a ‘personal touch’ to the content to make it more relevant and relatable to their audiences, should the brands need that done. Micro-influencers are more readily available to both their audiences and clients. They do create the time to respond to their audiences’ questions and comments, and can even attend relevant events, to further ‘push’ the brand or product they are working with, as well as engage with their followers more. This way, they are able to have both an offline and online presence, which is great for your brand. When you are working with a micro-influencer, you can communicate with them personally, and they tend to be responsive and open to different approaches to help you achieve your brand’s or product’s goal. It is easier to build a relationship with micro-influencers. One major disadvantage of working with micro-influencers is that they do have a limited reach, as they only have small audiences. If you are a brand whose goal is brand awareness, then micro-influencers may not be your best option. It can be difficult to find the best influencer to work with. This is because you want to go for one with a following that matches your target audience, one with great content, a high engagement rate, and is still affordable. All these factors can be difficult to find in a single influencer. Often, brands have to work with several influencers. This makes it even more difficult to settle on a group of relevant ones, based on the factors that we have just mentioned. A lot of time needs to be dedicated to getting “just the right pool”. Due to the increasing demand for influencers, some may be engaged by several brands, thus may end up compromising quality content in a bid to keep all of them happy. Some influencers may also focus on earning more, therefore, work with many brands, and not pay attention to detail and their campaign quality. However, you can do quality checks before allowing them to publish, to be sure the work is up to standard. Some micro-influencers, in a bid to get an opportunity to work with brands may use unscrupulous means, for instance, buying fake followers. 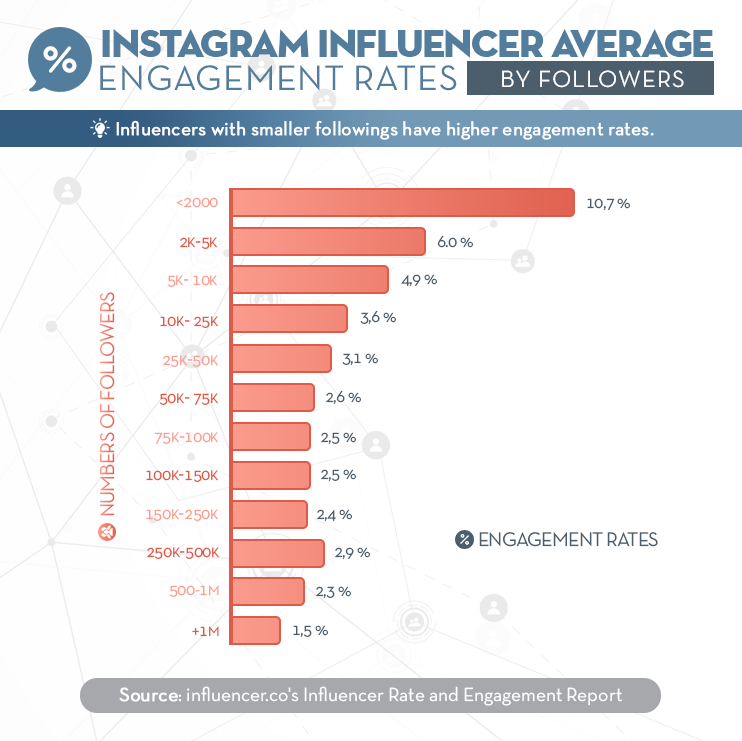 Such influencers tend to have very low engagement rates, despite having relatively large audiences. We have already seen that in order to achieve results, you need to work with several influencers. This means that you need to communicate with all of them and see the different approaches that you need to take in order to achieve the desired results. Remember, each influencer has a different tone that they use for their audience to engage with them, and all these intricacies have to be taken into account. Influencer marketing software/tools have however made it easier to manage micro-influencers. Unlike micro-influencers, macro influencers are basically celebrities. They are popular and well-known, and mostly, household names or celebrities. They have large audiences, followers and subscribers, between 100,000 and sometimes to the tunes of millions. They tend to be trendsetters and could be experts or key thought leaders in various industries and niches. Macro-influencers tend to have diverse audience demographics. These influencers also have diverse interests. You may find a single macro influencer who is interested in health and fitness, beauty, baking, and mindfulness. Some people argue that macro influencers have up to 300,000 followers. They are “mini-celebrities” who are known in specific local communities. Macro influencers have large audiences and followings, making them an ideal option for brands looking to achieve brand awareness. They are able to reach large numbers of people at the same time, sometimes, using just a single post. Macro-influencers reach 22 times more people when compared with micro-influencers. They are also able to reach diverse audiences, which would work best for brands with different customer segments. If you are using a macro influencer to increase awareness about your referral program, then you are able to reach a large number of people. Macro influencers are usually managed by talent managers or agencies who tend to be professional in their dealings. They already have set terms and conditions, which brands are expected to adhere to. This makes it easier to choose the influencers to work with. It’s just a matter of whether the terms and conditions work for your brand. This also saves the time spent in managing influencers and removes the need for influencer management software. Macro influencers have experience working with brands, thus working with them would be easier. When a brand is endorsed by a macro influencer, it becomes “exclusive”, to an extent. The association with a celebrity portrays the brand as “cool”, credible and one that can “flex muscle” among competitors. Micro-influencers may have “fake followers”, especially if their goal is working with brands. Macro-influencers are highly unlikely to have such pitfalls since they are genuinely popular people, based on things that they do. They could be musicians, actors, sportspeople, or socialites. Let’s take a look at some of the disadvantages of using macro influencers. Audiences do not always trust macro influencers. This is because product recommendations are usually “staged” and the audience can easily tell. There is also often a lack of a “personal angle” to the messaging or content which is obvious to the audience. The audience may not trust the fact that the influencer actually uses the product. Macro influencers tend to have extremely high rates. The cost per content piece depends on the influencer, their audience size and platform too, but it could range between $2000 and $50,000. This post talks about how much the Kardashians earn from their celebrity endorsements. Macro influencers can be inaccessible due to the fact that they are managed by talent managers. They also get several requests, and it can be difficult for a brand to stand out among the many requests. You may need to show them how working with your brand will also benefit their personal brand. Celebrities also get to choose the brands that they want to work with. What if your brand never gets picked? Macro-influencers sometimes promote products that are irrelevant in that they are unrelated to their niches. An example here is when David Beckham promoted AIA Hong Kong in the “What’s your Why?” campaign. The audience in a CSG report said that they did not see the connection between this particular brand and the influencer. So, should you go for micro or macro? What do you intend to achieve as a brand? Are you looking to increase visibility, brand awareness, reach or traffic? Or are you looking to increase conversions and sales? If you are looking to increase reach, visibility or brand awareness, then macro influencers are your best bet. If you are looking to increase conversions and sales, then go for micro influencers. Macro-influencers can easily change your brand’s perception among a large number of people. The brand benefits from the association with a popular individual it, therefore, becomes more “likable”. When it comes to your referral program, macro influencers will help people know about the program, but micro influencers will give you subscribers since they are credible and relatable. Your budget is a significant determinant of the types of influencers that you get to work with. If your company can afford to pay a macro-influencer, why not use them in a campaign? This, however, should only be a consideration that is based on the intended goal, over and above the fact that your company can afford to pay a macro influencer. 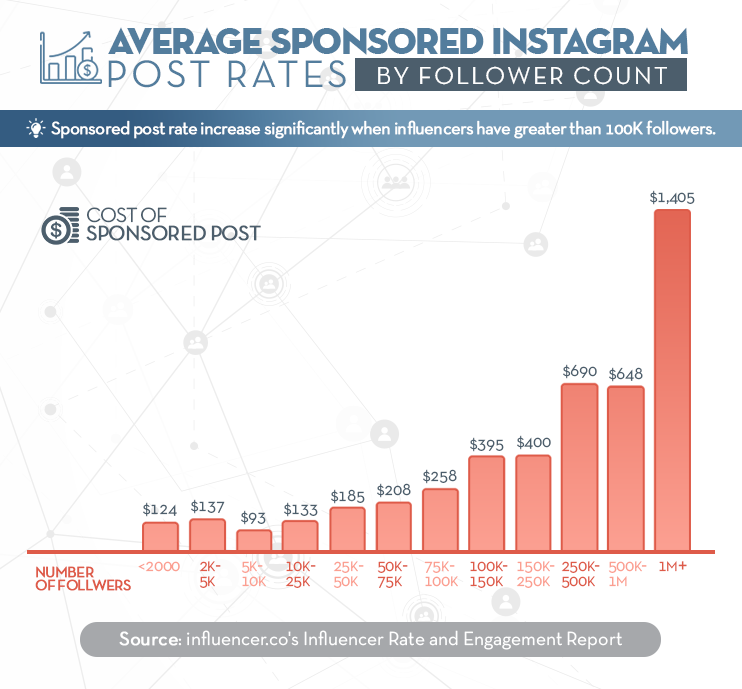 If you are a company that cannot afford a macro influencer, it is better to stick with micro influencers since they are usually more affordable. Sometimes, even companies who can afford macro influencers may choose to work with several micro influencers. The goal needs to be aligned with the budget. Whom do you aim at reaching with your influencer marketing campaign? If you have a niche audience, for instance, stay-at-home moms, a micro-influencer is more effective. This is because such an audience is highly likely to relate to and trust someone who is like them – a stay-at-home mom, who has first-hand experience as a stay-at-home mom. If your audience is a bit general or has multiple segments, for instance, a fast food chain, a macro-influencer will be a better bet. An example here would be McDonald’s Search It campaign which involved Mindy Kaling. When it comes to your audience, you may want to consider geographic location too. If you are aiming at a local audience, a micro-influencer would be ideal, as the audience can relate with them. If your audience is global, then a macro-influencer is ideal, as different people around the world like them. An influencer’s audience must be the very same one that you are trying to reach. 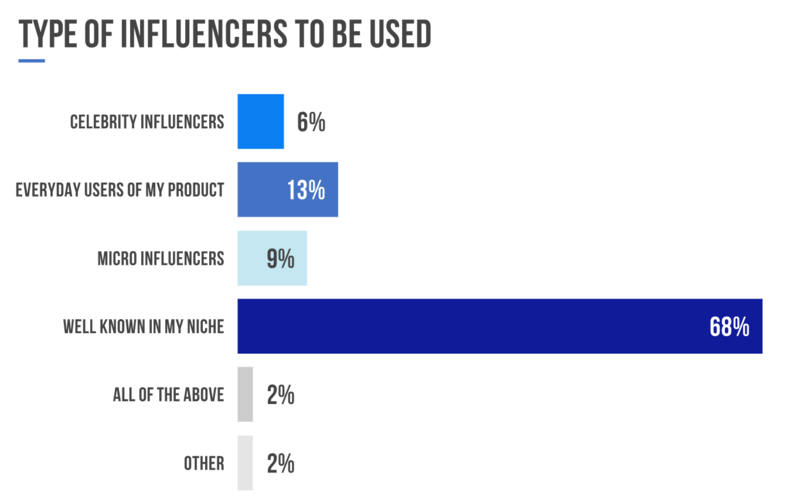 If the influencer’s audience is niche, then go for a micro-influencer. If an influencer’s audience are vintage car enthusiasts for example, and your brand sells vintage car spare parts, micro-influencer will be highly relevant and a great choice too. This about a laptop reviewer, but then, micro influencers reviewing only Microsoft Surface Pro and how it handles performances, how-tos, fixes, updates. If you sell Surface Pro accessories, you want to make sure that you get the most of out every view. If an influencer has a diverse audience, you may want to work with them if you have multiple customer segments with diverse demographics. An example here would be a brand that sells soft drinks like Coca Cola. Another aspect of the influencer’s audience that you need to look at is engagement. Is the audience active and engaged? Does the influencer respond to comments and questions? If the audience is passive and does not participate much, it may be an indicator that the influencer is not the right fit for your brand. We have seen that micro-influencers tend to be more authentic when it comes to their messaging and engaging with their audiences. This is because they are everyday people who will share their personal experiences after using a brand or product. They are therefore more credible. If you need to sell a product whose unique value proposition involves reliability or credibility, for instance, baby diapers, micro is the way to go. Credibility may not rank high on a product like soft drinks or fast food chains. You may find that using macro-influencers in such cases, will be for the association with the celebrity, and not necessarily how “believable” the product is. Think about it. Have you ever seen an ad that discusses the ingredients that a soft drink is made of? You have probably seen an organic food ad that will go through the details of each ingredient and the health benefits it brings. We have looked at the factors that you need to consider before you settle on micro or macro influencers and the pros and cons of working with each one of them. A great approach would be actually to work with both influencer types. You may want to work with macro, if your goal and budget allow, to increase brand awareness, and micro influencers to increase conversions, leads, and subscriptions. What Is Influencer Marketing And How Does It Work? I write only what I want to read. SEO Specialist with years of content experience. When I'm not working, I enjoy 4 cups of coffee at a minimum and binge watch Netflix.